These days most people are online, communicating far and wide with friends and relatives abroad and engaging in conversations with online communities with the tap of a phone. Talking about your day, liking and sharing information and pictures, following organisations you like can be great fun but have you ever stopped to think about who is accessing your information? Once we engage on a social networking site we are opening ourselves up to people we don’t know. People who may not have good intentions who may want to steal our identities by accessing our personal information, hacking our accounts to spam others or trying to retrieve our passwords. We can try to protect against this by setting the right filters and by password protecting our account. 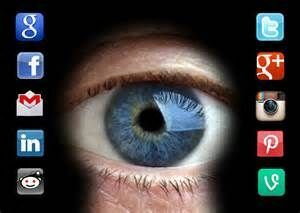 It is also important to remember that social networking sites are owned by businesses and that they gather information and sell it on to third party advertisers in order to make money, these advertisers then use this information to specifically target you with their advertising based on what your interests are. What questions are important to ask ourselves before we post anything online? What personal details am I posting? Am I happy with this information, comment or photo being online? Is there someone else in this photo/video and have I got their permission to share it? It is important to get consent and not tag someone in a photo before checking with them that it is ok to do so. Am I saying anything negative/defamatory about an employer/organisation that they can see on my page? This can affect your employment or future employment. Will my comment create trouble/cause offence or have a negative impact on me or another party if I post it? Who can potentially be passing on and sharing my information/posts/photos etc without my knowledge? Will my contacts mind me sharing information about them or that identifies them? Do I know the people I am connected to and do I trust them? All of these questions should be considered before posting anything online in order to protect yourself, your privacy and your personal information. The most important thing when sharing information online is being aware of what you are sharing and with whom. Is it really necessary to post your date of birth, address, phone number, children’s names and photos, sexuality, education and employment history? All of these details are personal and make it easy to steal your identity. Anyone who knows you in a personal capacity will probably already know this information so it may be worth considering the information you are sharing online with strangers. Adjusting the privacy settings on your social media accounts to private or friends only is another way to limit people accessing your information. Default settings on most social media will be public, meaning anyone can access it which it is why it is import to adjust the settings to suit you. Creating passwords for your accounts using different passwords for each account and changing them regularly will also help with security. A secure password should consist of numbers and letters lower and upper case with random punctuation thrown in to make it harder to crack. It is also wise not to share when you will be away on a holiday/trip etc as this is letting people know that your property will be vacant making it easy for someone to break in while you are away.